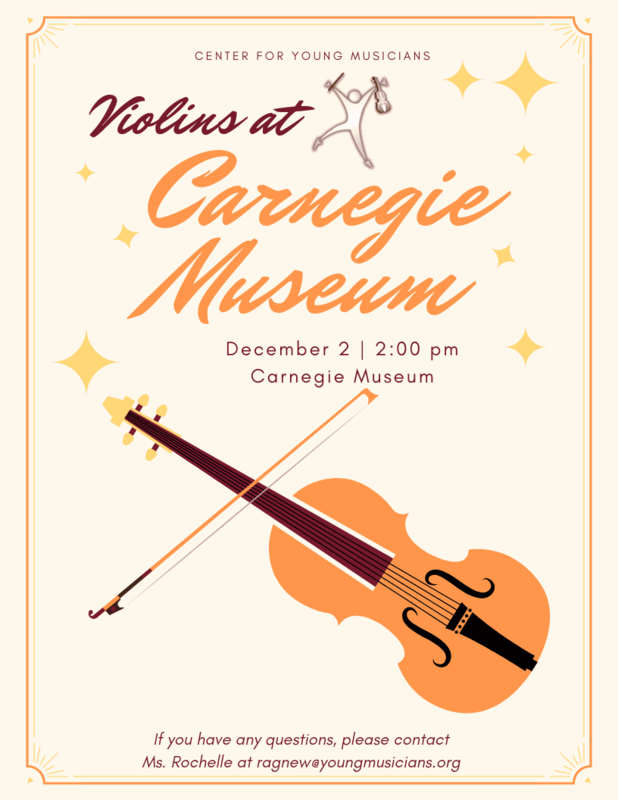 Come see the Center for Young Musicians violin students at Carnegie Museum of Art Holiday Open House! Decorated holiday trees and the Neapolitan Presepio will be on display in the Hall of Architecture! RSVP using our Eventbrite link.